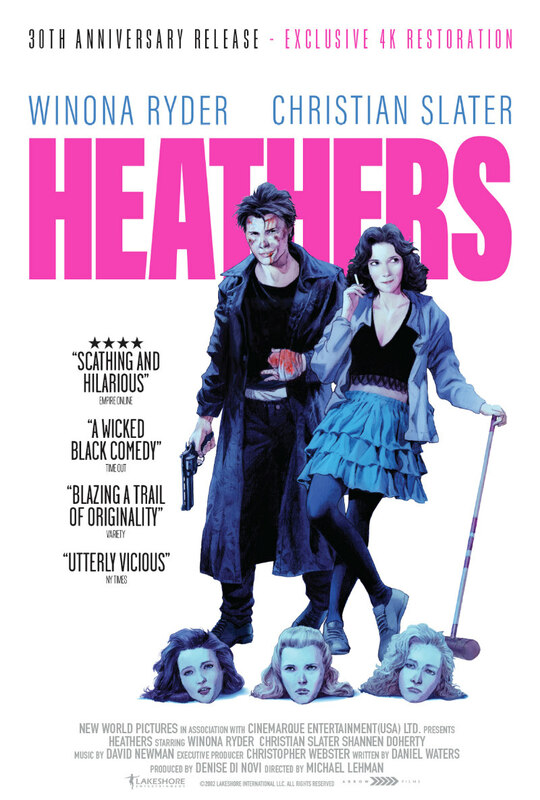 The cult black comedy returns to UK cinemas in August. 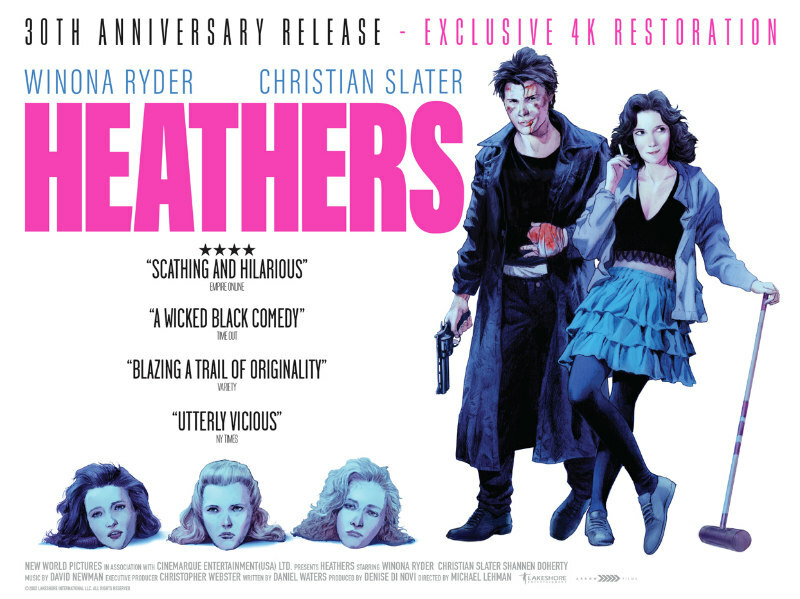 To mark its 30th anniversary, Arrow Films are bringing the cult black comedy Heathers back to UK cinemas on August 8th in a new 4K restoration, followed by a VOD release on August 20th. The British Film Institute will host a special screening followed by a Q+A with director Michael Lehmann and actress Lisanne Falk. Check out Arrow's new trailer below. Veronica is part of the most popular clique at her high school, but she disapproves of the other girls' cruel behaviour. When Veronica and her new boyfriend, J.D. confront clique leader Heather Chandler (Kim Walker) and accidentally poison her, they make it appear a suicide. Soon Veronica realizes that J.D. is intentionally killing students he does not like. She races to stop J.D. while also clashing with the clique's new leader, Heather Duke (Shannen Doherty).